BMICH, Sri Lanka’s iconic landmark, closed the year 2018 with many successes and accolades under its hat including the prestigious Sri Lanka Tourism Best MICE Venue of the Year Award and SATA (South Asia Travel Awards) Gold Award for South Asia’s Leading Meeting & Convention Venue. The BMICH was privileged to host over 7 Million visitors to its premises while hosting many international and local exhibitions, events, conventions and wedding ceremonies in 2018. BMICH was also the venue of choice for many corporate and public sector organizations to host their events. 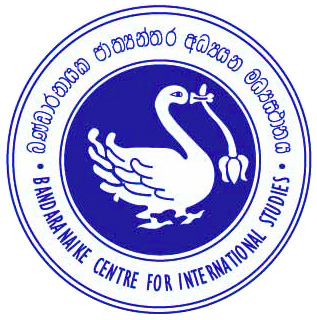 The Colombo International Book Fair & Exhibition which is an annual event held at the BMICH witnessed over 100,000 visitors each day over 10 days amounting to over 1 Million visitors. “BMICH is located at one of the most central and accessible locations in Colombo making it extremely convenient for visitors. Our staff, at all levels, are committed to providing a unique experience to our customers as well as all who visit our venues. Our infrastructure has been designed to fulfill even the minutest details of our customers and visitors” said Sunil Dissanayake-Chief Executive, BMICH. 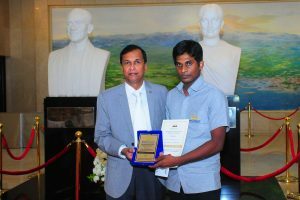 “Thanks to the support of our valued customers, BMICH emerged as South Asia’s most visited venue in 2018” added Dissanayake. 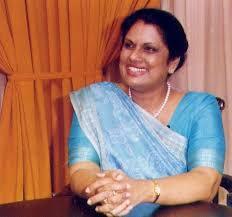 The BMICH is managed by a Board of Management led by Former President Chandrika Bandaranaike Kumaratunga as the Chairperson and includes experienced and respected industry leaders from finance, legal and business backgrounds. BMICH routinely conducts social responsibility activities such as blood donation campaigns, assisting schools and engages in industrial waste management. Set in a sprawling site with 15 well laid out, spacious car parks that can accommodate 3,000 vehicles at a given time and well maintained, landscaped gardens boasting 23 indoor and 12 outdoor venues, BMICH is Sri Lanka’s largest and Asia’s very first purpose-built convention center with ultra modern facilities. Recently renovated and refurbished, BMICH is South Asia’s Premier Integrated MICE Complex with all the facilities required to host any type of convention, seminar, exhibition, conference or wedding including multi-day international conventions and conferences. A well laid out picnic area has been integrated into the facilities as a new venue recently. 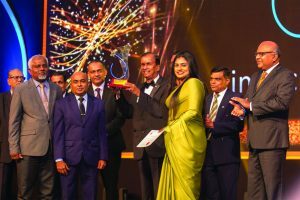 The BMICH, Sri Lanka’s most recognizable and iconic landmark won the prestigious MICE (Meetings Incentives Conferences and Exhibitions) Award in the MICE Tourism category at the 06th Annual Sri Lanka Tourism Awards Ceremony held on 6th December 2018. The event is organized by the Sri Lanka Tourism Development Authority to recognize and reward excellence in the Travel & Tourism industry to promote and enhance the delivery of service standards. Sri Lanka Tourism Awards 2018 will also honor the organizations and individuals for their contribution towards strengthening and empowerment of Sri Lanka’s tourism industry. Each application in each category was subject to a stringent evaluation process consisting of 3 stages to ensure transparency and accountability, and the final decisions were made by a 5-member jury. “We are delighted to have been presented with this prestigious award for the Best MICE Venue. at the Sri Lanka Tourism Awards Ceremony 2018. BMICH is a sophistication, iconic and centrally located venue providing ultra-modern facilities catering to global standards. Our well trained, experienced and dedicated team will ensure that each experience is unique and unmatchable” said Sunil Dissanayake-Chief Executive, BMICH. Set in a sprawling site with 15 well laid out, spacious car parks that can accommodate 3,000 vehicles at a given time and well maintained landscaped gardens, BMICH is Sri Lanka’s largest and Asia’s very first purpose-built convention center with ultra modern facilities. BMICH was presented the Regional Gold Award as South Asia’s Leading Meeting & Convention Venue at the prestigious South Asian Travel Awards (SATA) Ceremony held in Mumbai, India recently. BMICH has also won the South Asian Travel Awards (SATA) in 2016, 2017 & Quality ERA Award in 2016 and 2017 in Geneva and Paris respectively.